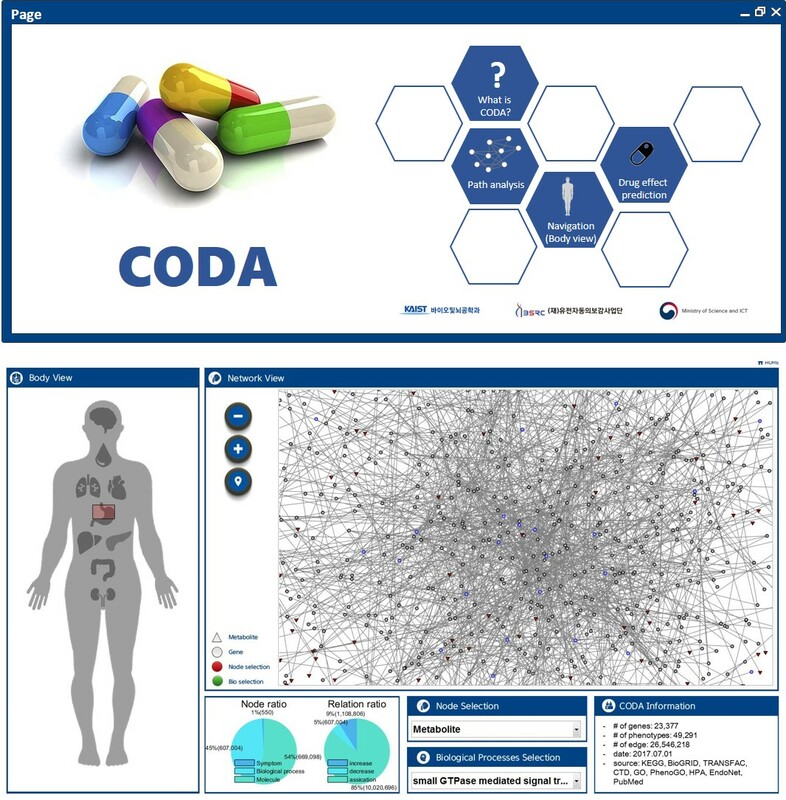 A team led by Doheon Lee, a professor at the Department of Bio and Brain Engineering, developed a virtual human system (CODA) based on big data to facilitate drug development. A recent study that uses artificial intelligence and big data to reduce the cost and time of drug development has come under the spotlight. Past studies were less accurate in analyzing the actual effects of drugs on the human body as they were limited to cell level entities. The team gathered more than 26 million associations among molecular, phenomic, and cellular level entities from various databases including PubMed and KEGG to establish a virtual human system. In addition to the information disclosed through the study, the system included interactions retrieved from internal experiments and AI-based analysis. The team expects to predict the mechanism and adverse effects of drugs by analyzing the network paths between drugs and diseases. The results of the study were published on August 8 in Scientific Reports, a journal published by the Nature Publishing Group.